Posted on 29th March 2018 at 12:02. Regardless of how big or small your business may be, understanding local SEO is key. Being ignorant to it means that not only will you lose out on local demands for your product or service, but you are also missing out on increased search result opportunity. Though local SEO doesn’t differ too much from traditional SEO, it’s focus is to generate opportunities to be found within searches for local intent. By focusing on local search, you want to ensure people on your area are able to find you. For example, if you’re a coffee shop, you want to appear in search results when people search “coffee shops in…” or “Coffee shops near me” and so on. 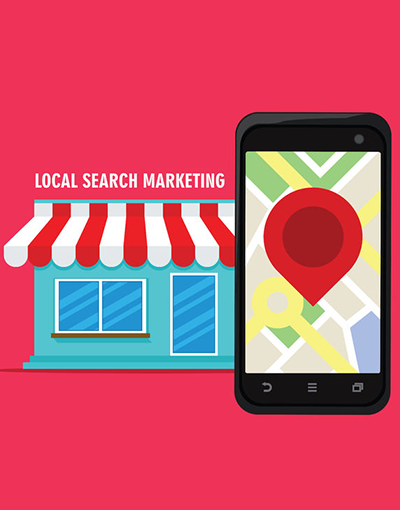 Those who don’t run local SEO campaigns miss out on over 56% of mobile searches. Authority of inbound links to the domain are still the number one factor to affect your ranking in Google search results, so it’s important to make sure you have an understanding of how these work. These links need to be diverse, so having a variety of reputable sources to backup your content (keeping in mind that they are relevant and important to the piece) is essential. When it comes to your content, there are many elements that need to be considered for getting the most out of your local SEO. The first is that the length of your content has an effect on how well your business ranks in Google search results. It’s important to take a look at competitor websites to see how lengthy their content is, as well as the quality of that content. Remember that not only using the relevant keywords are there for your to be found, but mentioning the locality of your business is just as important if you want to be found on a local scale. This can be achieved through not only mentioning where you are based, but also through in-content links to local websites and including references to your target areas within the copy if and when applicable. A dedicated contact page is key in any business, but it also plays an important role in giving your business that findable factor for local SEO. How are people in your area going to know that your are nearby if they have no idea of your whereabouts? Make sure that contact and location information are clickable so that people can call you, email you and find where you are based via maps. Facebook page likes for your business act as an authoritative signal for local SEO, so the more you have, the better chance you have of being found. Other things to factor in are the age of your Facebook page, the number of content shares, reviews, twitter followers and much more. A recent study confirmed that your website is more likely to rank in the top ten for local and non local SEO when you have more Facebook shares. Facebook shares are also great for building up your audience, and could potentially grab the attention of influencers who may provide you with inbound links on their own website. Whether it be from a review or simple mentioning your business in general, having an influencer notice and promote your website can have a big impact on your rankings. For the best results, you need landing pages which are relevant not only to the topic in question, but are also relevant to those searching locally. Without a relevant landing page for each of your products or services, it is rather difficult for Google to understand what it is that your do, meaning whoever needs you won’t be able to find you. Search & More can design relevant, eye catching landing pages that are sure to bring in customers to your business. Search & More aim to work with your business to get you found on a local scale for bringing in business from potential nearby customers. From landing pages, to analytics of local SEO, to regular website maintenance and content creation, our team of experts know what is needed to get your business seen. If you would like to know more, get in touch today to see how we can help. What is Social Listening and why is it important for your Brand?Is your Social Media having a Mid-life Crisis?